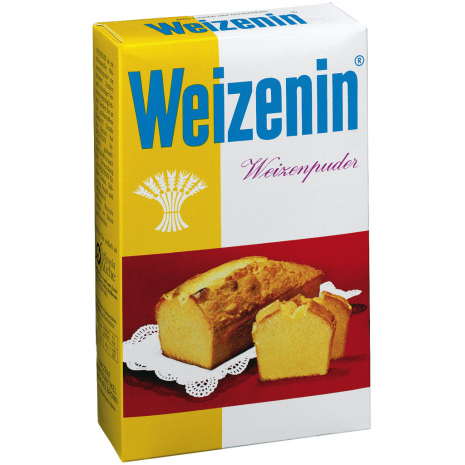 Mondamin Weizenin fine wheat starch is ideal for baking fine pastries and cookies alike. Refine your cakes, cookies and desserts. A perfect outcome every time. Baking instructions are in the German language. Mondamin Weizenin pure wheat starch is ideal for baking fine pastries and cookies alike. Refine your cakes, cookies and desserts for a light and crumbly texture. A perfect outcome every time. Baking instructions are in the German language. 400g / 14.1 oz NET. WT.